Editor's note: This is a special edition of the Birdbath. We Aviators decided to make this one a tribute to all the wonderful female artists and musicians within our flock. You'll find that equal opportunity and talent indeed apply. A great example of Roc and Myna integration! Drummergirl777 created four original Roc beats of her own, then used Myna to upload a few external sources and add sweet reverb and sweep effects to give kick and punch to a thoroughly enjoyable listening experience. Synth and percussion make this a perfect match for her name. If you listen closely, you can hear the "Roc... Roc.." in the mix. How cool is that?! Need some exquisite vocals to go with the new mix you're working on? Have you heard what Roxy (mwah ha ha ha ha!) can do? Some of the best Myna creations we've heard at Aviary are based on these simple, yet beautiful, soul-stirring and sometimes quite spine-tingling "ah's" and "mmm's". Check it out, or wish you weren't so far back in line. There is a cool Aviary contest going on at Worth1000,one everyone will enjoy. It is All apps black and white. Check it our and join in the fun. Sometimes, in the great walk of life, we run across a truly profound figure. One who is eclectic and astonishingly, refreshingly different. Someone you can learn a lot from, as well as laugh with. A true artiste, experienced in an amazing variety of art forms. Entre nous, et tous les autres - bassp is a veritable fountain of cultural experience. Her art "studies" at Aviary are worth more fave adds than the common folks' finest creations. She has a professed and perfectly practiced proficiency in Peacock - Nobody can say "hubs" and interact with them quite as well. And wow! - you won't know whether to stand, sit, or fall out when you browse her gallery. Can she create a beat? Well... duh! Any Girl Scout will tell you - be prepared! HandClapSnap 2 4 bpm.egg on Aviary. Having a lot of challenges has both advantages and disadvantages. We love the variety but sometimes, some are overlooked. Such is the case of Yellowstar24's great challenge named The wrong habitat. Funny and original, we challenge you to join us in making this another Aviary favorite. As the end of summer hurtles toward those of us in the Northern Hemisphere, we begin to see some friends dropping off as the new school year approaches. Whether teaching or learning, we wish everyone a prosperous school year ahead. In that spirit, let us also remember to welcome our new members and remember to point them here so we can all say hello as they introduce themselves. We can't let the guys go without any representation this week. When Alpha13Wolf posed his amazing Clearing skies I thought it was amazing but when I opened it in Peacock, I was inspired to learn this technique. Little did I know that you can make much more than clouds. Alpha13Wolf has written a wonderful Tutorial that shows us every thing we need to create clouds, smoke, nebulas, trees and anything else you can imagine. Many thanks to you Alpha13Wolf! 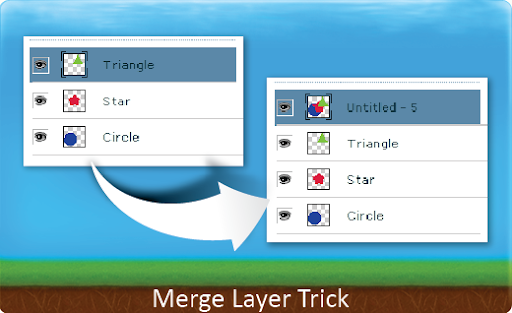 Select the layers you want to resize and merge them. Then, with the merged layer selected, go to Select > Select all. Next use the Edit > Copy function to copy this layer to the clipboard. Now here comes the clever bit :) Hit undo twice. This will recover all of your layers as they were before you started! Finally, just use Edit>Paste and hey presto, you now have a new layer with the merged layers you copied. You can resize all you like, and you also still have all of your original layers! Learn how you can add bitmap effects to your Raven vectors with this week's video tip.